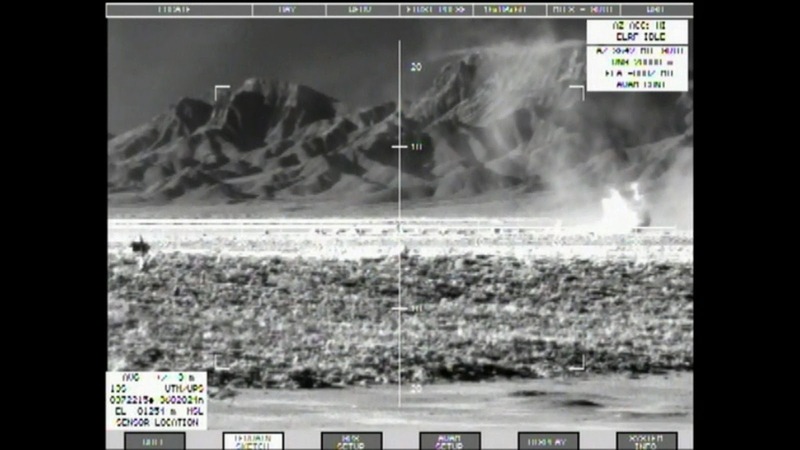 For our twentieth installment let's take a look the most common Surveillance/Reconnaissance and Targeting Systems used in the War in Afghanistan. 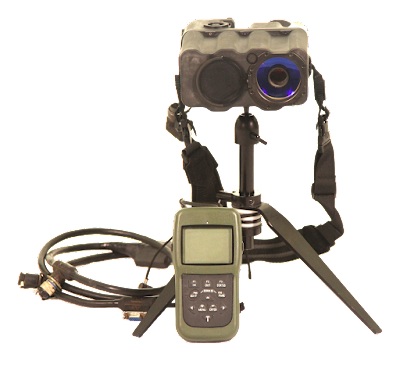 The Lightweight Laser Designator Rangefinder (LLDR) is a crew-served, Soldier-portable, long-range, modular target locator and laser designation system. 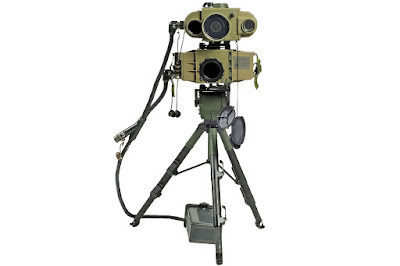 The primary components are the Target Locator Module (TLM) and the Laser Designator Module (LDM). The AN/PED1A (LLDR-2) reduced system weight by more than five pounds and reduced power consumption. The AN/PED-1B (LLDR 2H) improves target location performance. The TLM incorporates a thermal imager, day camera, laser designator spot imaging, electronic display, eye-safe laser rangefinder, digital magnetic compass, Selective Availability/Anti-Spoofing Module Global Positioning System (SAASM GPS) and digital export capability. The original LLDR 1 (AN/PED-1) operates on one BA-5699 battery, but it can also use a Single Channel Ground and Airborne Radio System (SINCGARS) battery when laser designation is not required. A new compact laser designator is being fielded with the LLDR 2 (AN/PED1A). It requires less power and operates on one common SINGARS battery (BA-5390 or BA-5590). 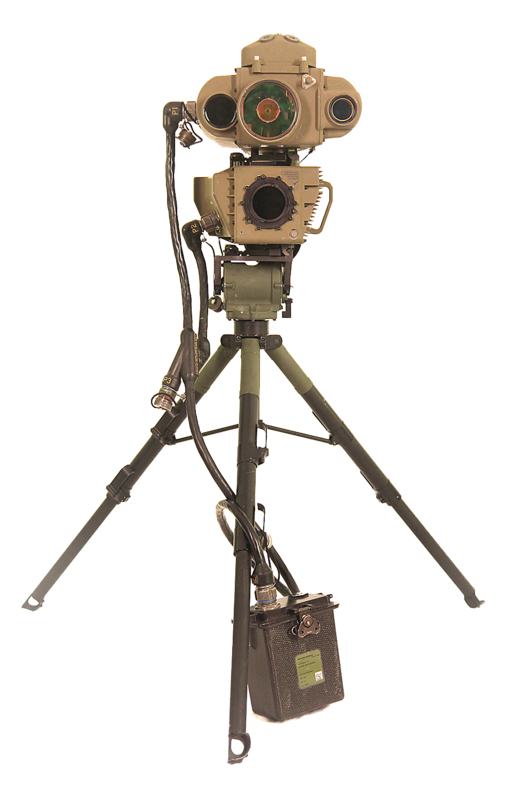 To provide a precision targeting capability to the dismounted Soldier, PM SPTD developed the LLDR 2H (AN/PED-1B). It integrates a celestial navigation system with the digital magnetic compass in the TLM. 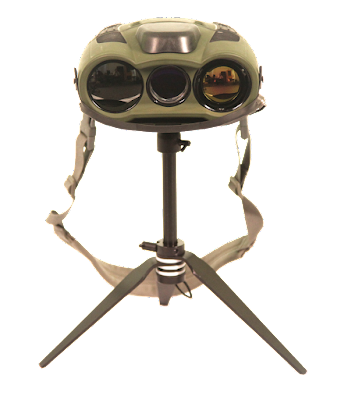 The LLDR 2H provides highly accurate target coordinates to allow the Soldier to call for fire with precision GPS guided munitions. A Modification of in Service Equipment program will retrofit fielded LLDR 1 and 2 systems with the LLDR 2H precision targeting capability beginning in FY13. The TLM operates as a stand-alone device or in conjunction with the LDM. At night and in obscured battlefield conditions, the operator can recognize vehiclesized targets at more than three kilometers. 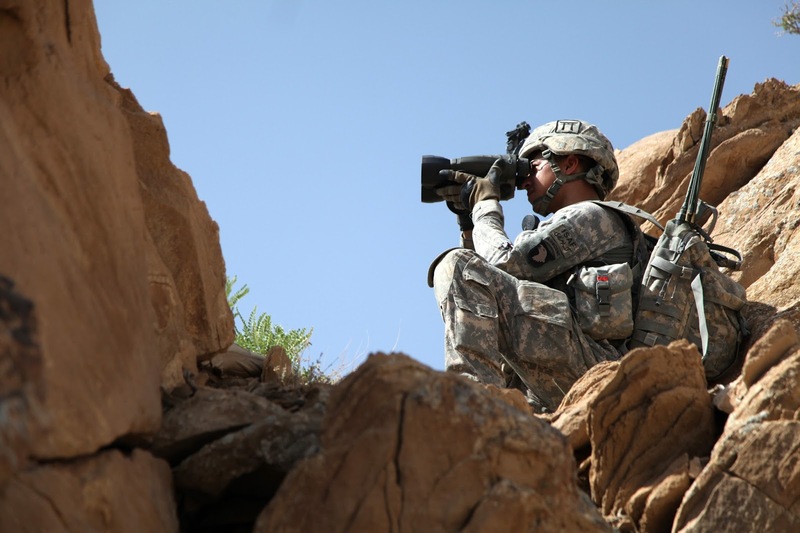 During day operations, soldiers can recognize targets at more than seven kilometers. The LDM emits coded laser pulses compatible with DoD and NATO laser-guided munitions. 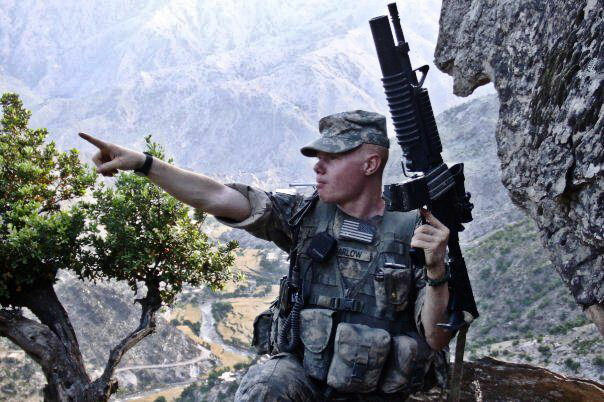 Soldiers can designate stationary targets at ranges greater than five kilometers. All LLDR: > 5 kilometers to stationary target, > 3 kilometers to a moving target. The LRAS3 is a long range multisensor system designed for use by the US Army platforms in surveillance and reconnaissance missions. It provides real-time, day and night, in adverse weather conditions the capability to detect, recognize, identify, and pinpoint far target locations. 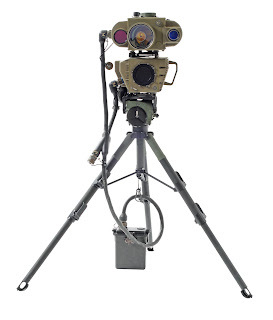 The LRAS3 consists of a second generation FLIR, TV camera, GPS interferometer, and an eyesafe laser range finder. It can be mounted either on armored ground vehicles such as the HMMWV, M1, M2 and Stryker or used on a tripod for dismounted missions. The LRAS3 can establish a target location coordinates at 10 kilometers with an estimated CEP of 60 meters. The laser rangefinder is capable of range measurements with 5 meters accuracy. The US Army and the US Marine Corps are the largest customers for LRAS3 second generation forward looking infrared (FLIR) system. Provides Soldiers in Armored, Infantry, Stryker Brigade Combat Teams and Battlefield Surveillance Brigades with a long range surveillance and reconnaissance capability 24 hours a day in all weather conditions. The Laser Target Locators (LTL) are handheld or tripod-mounted, lightweight laser target locators. They deliver target data to the fire support, and maneuverCommand, Control, Communications, Computer and Intelligence system (C4I). 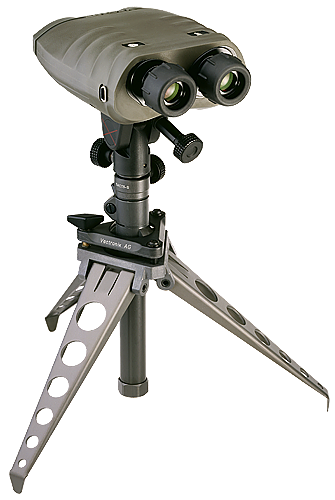 The Vector 21 is a Binocular Laser Rangefinder (BLRF) with an embedded digital compass. 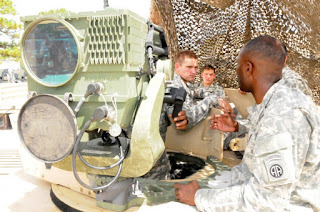 Soldiers can connect the Vector 21 to the Precision Lightweight GPS Receiver (PLGR) or a Defense Advanced GPS Receiver (DAGR) to provide target grid coordinates. When used in conjunction with an AN/PVS-14 Monocular Night Vision Device, the Vector 21 provides a limited night capability. The Mark VII integrates a monocular direct-view optic, an image intensifier, a laser rangefinder and a digital compass into a day/night target location device. The Mark VII connects to the PLGR or the DAGR to provide grid coordinates to distant targets. The Mark VII provides a limited night capability. The Mark VIIE is an integrated target locator module with a more powerful 8x day optic. 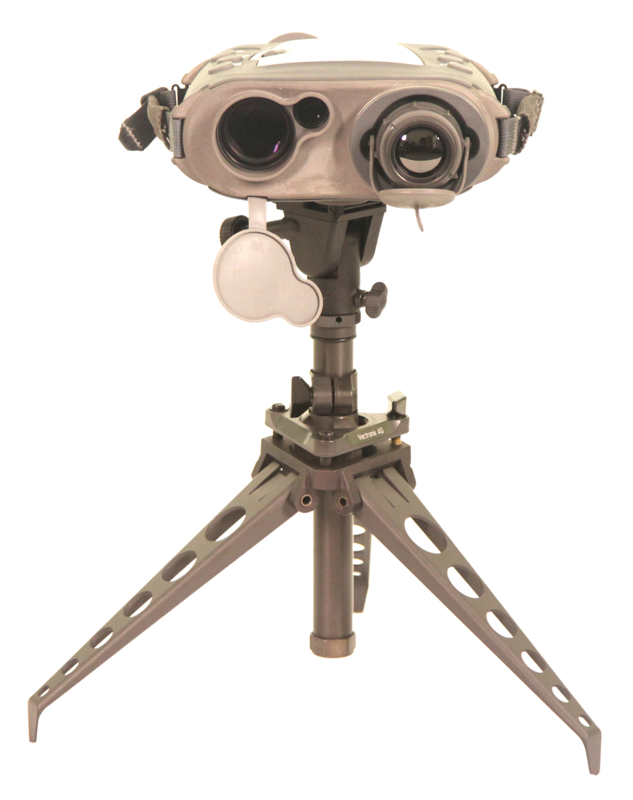 It has an uncooled thermal sight for increased night performance and an embedded GPS receiver for stand-alone targeting operations. The Target Reconnaissance Infrared Geolocating Rangefinder (TRIGR) is an integrated target locator module with a 7x direct view optic, an improved uncooled thermal sight for significantly increased night performance, a laser rangefinder, digital compass and embedded GPS receiver for stand-alone targeting operations.